Toronto, April 8: Former Maldivian President Mohamed Nasheed, who had to live in exile during his successor Abdulla Yameen’s reign, has led his party to a thumping majority in the recently held elections for the Maldives’ majlis (parliament). Nasheed’s Maldivian Democratic Party (MDP) is headed for a two-thirds majority in the 87-member assembly. Preliminary results gave MDP 60 seats out of 87 while some local media projected Nasheed's party was on track to win up to 68 seats. 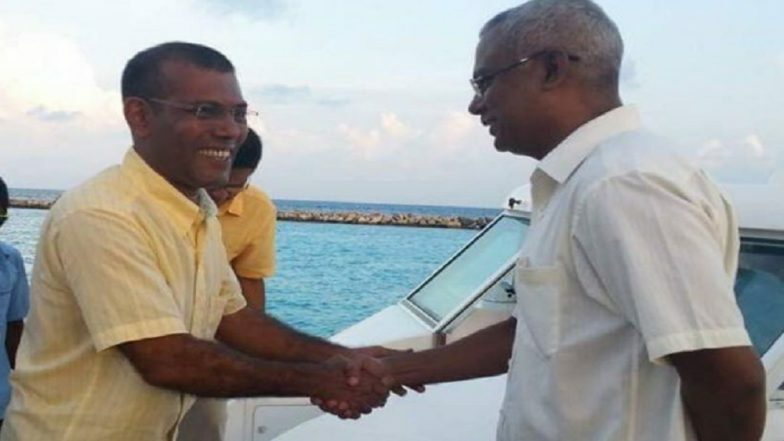 Nasheed was the first democratically elected president in Maldives after long-time ruler Maumoon Abdul Gayoom stood down as president in 2008 after 30 years in power. However, Nasheed’s term was cut short and his political party was defeated by Abdulla Yameen in the following elections. But Yameen himself was then defeated in the 2018 presidential elections by a landslide vote after being accused of massive corruption and pushing the country in to a political crisis. Yameen’s defeat allowed Nasheed to come back to the archipelago and the charges against him were dropped. After the win in the Maldivian majlis, Nasheed has promised a new era for his countrymen. "Our foremost duty is to bring peace to the government," Nasheed told supporters in the capital Male on Sunday. "You desired to reform the general well-being of the nation... Hopefully, we will succeed in fulfilling your wishes." Nasheed also vowed to transform the Maldives, into a parliamentary democracy. The country is currently functioning as an executive presidential system which was adopted as the country undertook political reforms in 2008.